Durham, NC (USA) – July 18, 2018 – Alcami Corporation, a leading provider of fully-integrated custom end-to-end solutions for the pharmaceutical and biotechnology industries, today announced a renewed partnership with the Wisconsin Department of Natural Resources (DNR) to revitalize and repair the Hank Aaron State Trail in Milwaukee, Wisconsin, and the Pike Lake Hiking Trail in Hartford, Wisconsin. Volunteers from Alcami’s Germantown, Wisconsin Center of Excellence for active pharmaceutical ingredient (API) development, scale-up, and commercialization will work alongside Wisconsin DNR trail coordinators and park superintendents to renovate the popular state trails. "These stewardship projects are not only a great way to give back to park system properties people enjoy using throughout the year, they are also a great opportunity to inspire teamwork and help employees bond over a common passion of protecting the environment and expanding recreational opportunities for everyone," said Wisconsin State Park System Friends and Volunteer Coordinator, Janet Hutchens. 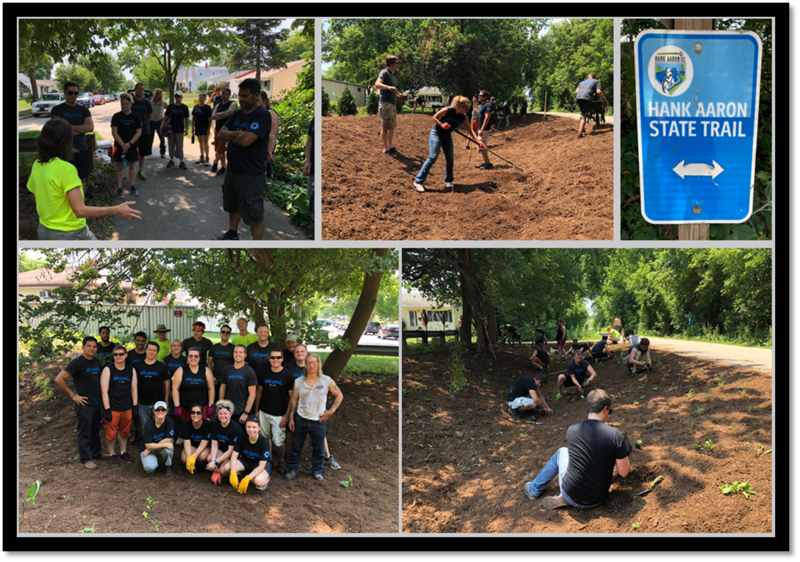 This July, Alcami volunteers helped plant and develop rain gardens around a high-traffic entrance to the Hank Aaron State Trail. The access point, utilized by bicyclists and pedestrians alike, was overrun with weeds and invasive plant life. In the fall, Alcami will send a team back to the Pike Lake Hiking Trail to aid the construction of a new sustainable course around a hazardous, eroded portion of the trail. In 2017, Alcami workers helped transform a weathered segment of the trail into a quality, environmentally sound pathway. In addition to environmentally responsible green initiatives, Alcami actively participates in a variety of Greater Metro Milwaukee volunteer and community outreach programs, partnering with organizations like United Way, STEM Forward, Hunger Task Force, Aurora Health Care Foundation, local universities and chambers of commerce, and other area nonprofits to improve citizens’ quality of life. Alcami is a world-class fully-integrated end-to-end contract development and manufacturing organization (CDMO) headquartered in North Carolina, with executive offices in Durham and Wilmington. With over 1,000 employees operating at 10 global locations, Alcami provides customizable and innovative services to small and mid-size pharmaceutical and biotechnology companies by offering individualized and integrated services across multiple areas. We connect our clients with innovative solutions for API development and manufacturing, solid-state chemistry, formulation development, analytical development and testing services, clinical and commercial finished dosage form manufacturing (oral solid dose and parenteral), packaging, and stability services. For more information, please visit alcaminow.com.